A Malaysian in France: Bad weather increases the productivity? 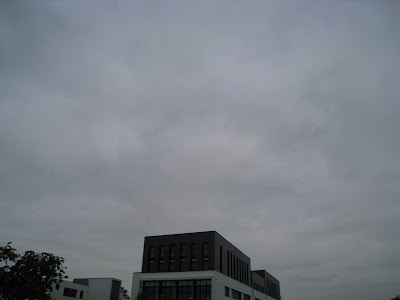 This week we had gloomy sky from Monday to Friday. The sun was no where to be seen. This really dismotivated me. I missed the time in Malaysia where in the morning you are blessed with the rising sun and in the evening you are welcome home with sunset. 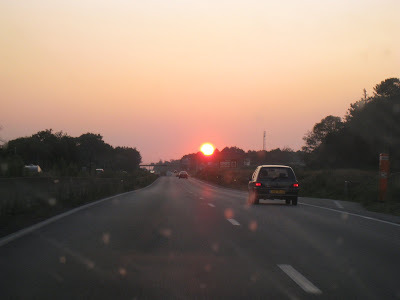 The oddest thing was that when driving home around six something in the evening, the sun finally showed it's face, as if it just decided to wake up. One of the explanations was that the city I work has bad weather and the city I live in has more sunshine. Anyway, I was talking to a bunch of coworkers over lunch, and they said that the awful weather can actually increase productivity, as people prefer to stay indoor working. If the sun is shining outside, a lot of people would wish that they could be outside doing all kind of activities, instead of slaving for the bosses. A theory that I have never thought off, and yet to be proven, and certainly do not apply to me. For me, gloomy weather will just lead to bad mood and low motivation. I never thought that I would miss sun so much.... but this changes after spending quite a long time in grey london! I will just be like you when the weather is gloomy!